Diana Pham is from Chicago, IL and participated in the 2017 Morocco summer program. Throughout my summer in Morocco, I loved eating all the tajines (طاجين) at school. Most had chicken with potatoes, carrots, zucchini, and cauliflower, topped with caramelized onions and raisins (sometimes prunes). Each day at our school, we would all have tajines with bread or خبز (khobz) and a side of honeydew, watermelon or grapes. Fridays, everyone had couscous (كسكس). I truly loved eating Moroccan food at school, with my host family and with my friends at small restaurants. At some point during my summer, I began to miss home. Since we were traveling to different cities most weekends, we stopped at gas stations to use the facilities and buy snacks. I bought several snacks from some chocolates to Kebab-flavored Lay’s then Oreos and Pringles. Kebab-flavored Lay’s tasted a bit odd, however, the Oreos and Pringles tasted exactly the same as they do in America. Since I LOVE Oreos and Pringles, they became reliable snacks that would comfort me when I was missing home. It was interesting to see the same brands have different packaging in Arabic! With Pringles, the P sound does not exist in Arabic, and is commonly replaced with the B (ب); instead of being Pringles they were Bringles (برينجلز). The Laughing Cow cheese was another food item that tasted the same in Morocco. 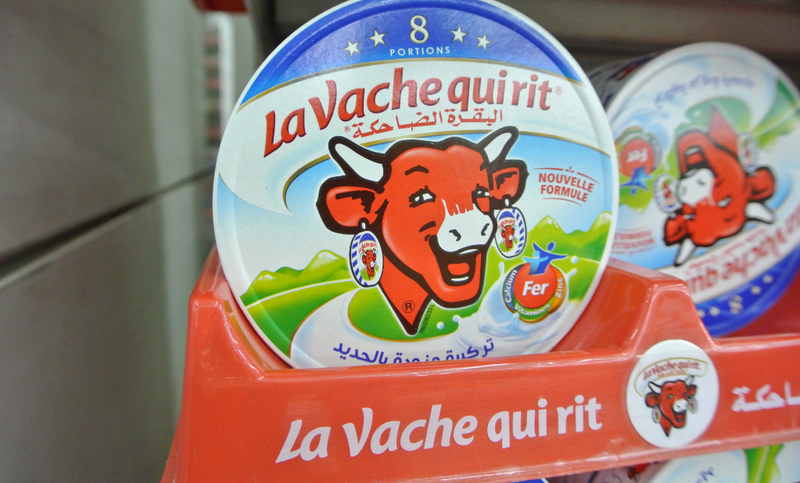 However, in the supermarket, there was a full aisle just with the Laughing Cow and other similar spreadable cheeses. I found it interesting that for every breakfast, my host mom would bring out the Laughing Cow as a spread on the bread that morning. For breakfast, honey was also offered as a condiment for the bread. I found it resembled Americans putting butter and syrup on pancakes in the morning. Even though I don’t eat Pringles, Oreos or Laughing Cow often in America, it will always remind me of Morocco, pronounced al-Maghreb in Arabic (المغرب). I’m thankful I tried all the Moroccan foods, as well as a few Moroccan adaptations to some American food brands.